Even though reports that the H1N1 virus, commonly known as Swine Flu, had mutated and threatened a zombie outbreak which could 'restart the heart of it's [sic] victim for up to two hours after the initial demise' have been proven false, speculation on the real-life ramifications of an outbreak of zombies remains at the forefront of serious medical discussions. Amendments to US President Barack Obama's healthcare act were discussed in New York, with public opinion divided on what course of action should be taken in the case of zombie holocaust. Meanwhile, students at the University of Oregon describe 'walking around like a zombie' after being infected with H1N1. 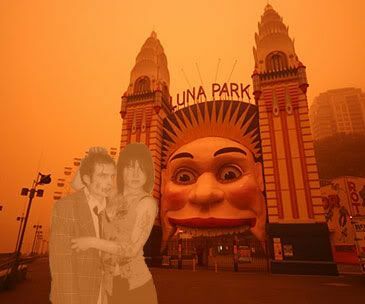 Locally, dust storms which blanketed New South Wales and Queensland last month are being investigated by scientists who suspect the dust may be radioactive. This could potentially lead to the rising of the dead, as was seen in Pennsylvania in 1967 after the explosion of a NASA probe showered radioactive material upon the Earth's surface.